“It is easy to forget that modern science has explained many mysteries of the world around us, but in medieval times, strange phenomena that we now know to have perfectly logical explanations would have appeared magical, and this is what we’ll be exploring during the opening weekend of Magic & Mystery,” explains Sarah Maltby, director of attractions for York Archaeological Trust. Demonstrations of the mysterious art will take place in Barley Hall’s Great Hall, whilst throughout the rest of the building and courtyard, hands-on crafting activities will see children making their own wands, medieval telescopes to watch the movements of the heavens, or even a potion bottle for a witch’s brew! Alongside the live demonstrations and activities, visitors will be able to explore the Magic & Mystery exhibition itself. The exhibition shows how the lines were blurred between magic, science and religion in the medieval period as people sought explanations for things they could not understand, with a particular focus on ‘natural’ magic, where everyday foods, plants or herbs were attributed mystical properties. 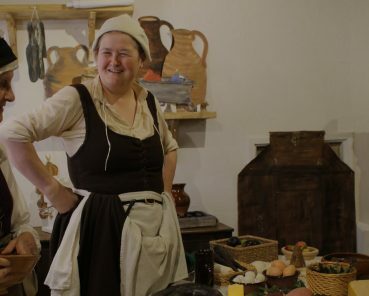 Alchemist demonstrations are includedin admission to Barley Hall (a small charge is made for crafting activities), which is open daily from 10am to 5pm (activities run 10am to 4pm). Admission prices are £6.00 for adults, £4.50 for concessions and £3.00 for children. Family tickets and joint tickets to other JORVIK Group attractions are also available – please see the website barleyhall.co.uk for details. Magical crafting activities will also be hosted every weekend during the school summer holidays, with pre-booking recommended as demand is expected to be high. 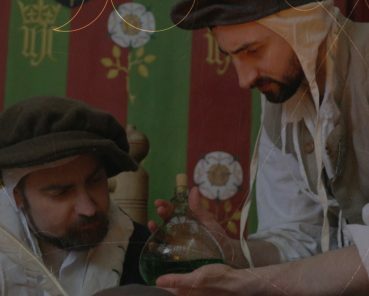 The herbs and flowers used by medieval mystics will also feature in special displays for York’s Bloom! festival, running 5 – 8 July, with historic-inspired arrangements that could influence mind, body and soul!